Organising Secretary of the Ghana Journalists’ Association (GJA), Albert Kwabena Dwumfuor, has been appointed as the managing director of Atinka Media Village (AMV), operators of Atinka FM, Atinka TV, atinkaonline.com, Ahoto FM and Agyenkwa FM. “Albert is going to be a great asset to both Atinka FM, Atinka TV and stations owned by Atinka Media Village and has a range of skill sets that will become increasingly important as the next few years unfold,” one of the staff of AMV stated. “His knowledge of local radio, commercial and public sector, as well as his particular personal focus on all things digital will be a real bonus for us,” he added. Speaking at a short welcome ceremony at the premises of AMV located at Avenor in Accra, Mr Dwumfuor expressed his gratitude to the group chairman, Mr Tobbin, the board and the management of AMV. He assured the general staff of a total turn-around for the AMV to maximise returns for shareholders. Being a result-oriented person and after years of operating as a media consultant, Albert Dwumfuor is expected to bring to bear his worth of experience and dynamism to spearhead the vision of the organization. 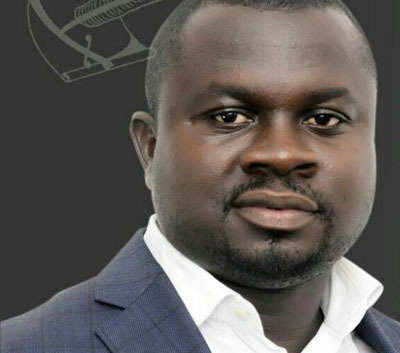 Albert Dwumfuor was the chief executive officer (CEO) of KAD Media Consult, a public relations firm he set up, and was once the chief operating officers of the Tobinco Group in charge of media. He also served as the general manager of Atinka FM before exiting in February 2016. Mr Dwumfuor had hitherto served in various capacities within the organisation for years, including the board secretary to JAM Media Group, (now Atinka Media Village) which birthed Atinka FM. The GJA organising secretary holds a master’s degree in Business Administration from the Ghana Institute of Management and Public Administration (GIMPA) and is currently pursuing an MA in International Relations & Diplomacy at the same institution. He officially started work on Monday, September 03, 2018.